In the first half of September the Faculty will be asking 10% of all LFHom’s, DFHom’s, MFHom’s and FFHom’s in the UK and Republic of Ireland to submit their CPD records to the Faculty. The 10% will be selected at random and will be contacted by letter in the first instance. LFHom’s are expected to complete 12 hours of attendance based and self-directed learning per year averaged out over 3 years. DFHom’s, MFHom’s and FFHom’s are expected to complete 20 hours per year averaged out over 3 years. 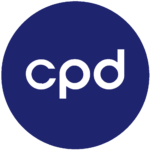 CPD activities include attending webinars or workshops about homeopathy, attending Faculty training courses or Congress, writing articles about homeopathy or reading about homeopathy. We believe that it is in the best interests of patients, all Faculty members and homeopathy as a therapy, for the Faculty to have a transparent and robust system of maintenance of high standards. It is for this reason that we take CPD seriously. If you would like more information about the CPD process please contact Membership & Education Officer Lisa Peacock at lpeacock@facultyofhomeopathy.org. Please keep an eye out for a letter in the post in September in case you are lucky enough to be selected. 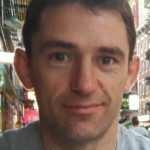 After eight years as the British Homeopathic Association’s communications manager John Burry has now left the organisation, which means he will no longer be the Faculty’s main contact for media inquiries. However, John has agreed to continue as freelance editor of the Faculty’s quarterly newsletter Simile. If you are a student currently studying on a Faculty of Homeopathy accredited course in London, Bristol or Northern Ireland and are resident in the UK or Republic of Ireland then you are eligible to apply for a Barcapel bursary to help with the cost of course fees. In addition we now accept bursary applicants from students who will be starting their 1st year in autumn 2018 or January 2019. To download an application form and read the guidelines on how to apply please visit the Faculty website clicking ‘APPLY NOW‘ below or contact Membership & Education Officer Lisa Peacock at education@facultyofhomeopathy.org for further information. Please spread the word to colleagues that the Barcapel bursaries are available for anyone wishing to train in homeopathy on a Faculty accredited course. Currently courses are open to statutorily registrable healthcare and veterinary professionals only. The Medicines and Healthcare products Regulatory Agency (MHRA) are currently advertising for a Pharmaceutical Scientist and Community Pharmacist with an interest in homeopathy and a Paediatrician with an interest in homeopathy to join the Advisory Board on the Registration of Homeopathic Products (ABRHP). This represents an excellent opportunity to diversify your career in homeopathy and have some input into the licensing of homeopathic products. Please visit the recruitment website here for further details on the role and how to apply. The closing date for applications is now midday on 10th September 2018. The RCCM are currently looking for Trustees to join their Board, they are particularly interested in people who have one or more of the following attributes; university academic background, IT, legal, finances, social media, fundraising expertise. Specific knowledge of complementary medicine practice is not required but applicants should be interested in developing and supporting an evidenced based approach in this area. Our 2018 Congress Student Competition, sponsored by Weleda UK, has been won by Dr Matthew Everest. Matthew is studying for MFHOM at the Bristol Faculty and he is intending to sit the MFHOM exam in the Autumn. Our congratulations to Matthew on his win and we look forward to seeing him at Congress in October. We are looking forward to networking and sharing with attendees from Japan, India, France, Australia, United States, Belgium, Germany, Turkey, Spain, Brazil, Ireland, Canada and South Africa – make sure you are there! Places are filling up fast! We urge you to register soon and not leave booking too late – click on the button below to BOOK NOW! REGISTER & BOOK ACCOMMODATION NOW! You may have been aware that there were no nominations for the post of Faculty Treasurer at our last AGM. Now we are pleased to announce that Dr Sara Eames, known to many of you as a previous Faculty President and current appraisal lead, was subsequently nominated, seconded and appointed by council to serve as Treasurer.